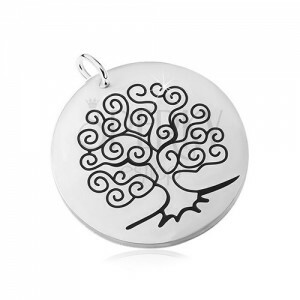 316L steel pendant in silver colour, big matte circle with an engraved patulous tree on one side and an inscription on the other side. Stainless steel pendant has a circular shape and a matte smooth surface in silver colour. In the middle of the big circle is placed a black patulous Tree of life. 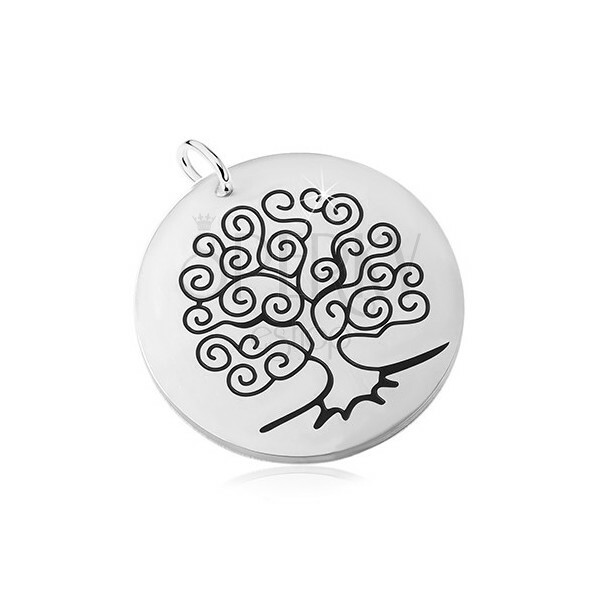 On the other side of the pendant is placed an inscription "Family Where Life Begins & Love Never Ends". The eye for the chain is thin and circular.